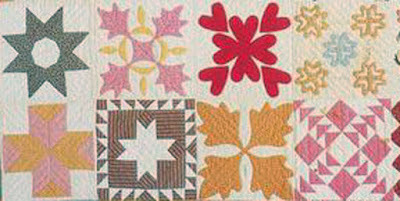 It's 2018 and I haven't told you enough about the new free Block of the Month here at Civil War Quilts. 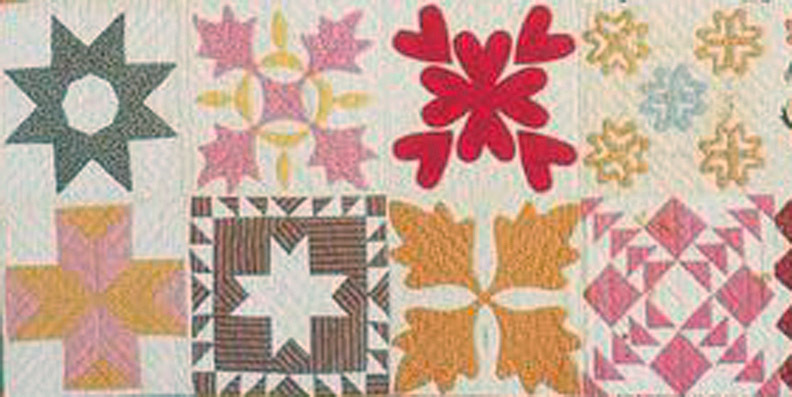 The twelve sampler blocks will all be pieced, drawn from designs popular for Antebellum Album quilts. 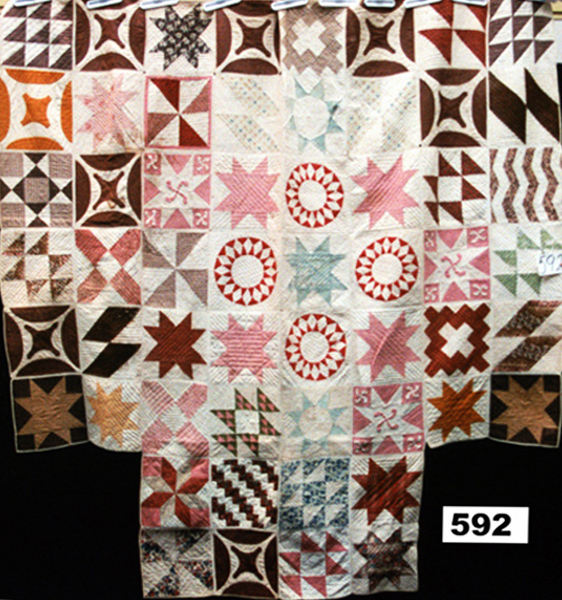 blocks, but we're focusing on piecing in 2018.
quilts from the 1840s & '50s. 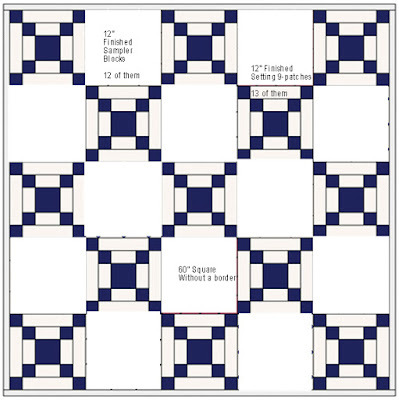 Some of the patterns I chose are in this album quilt from the Massachusetts project & the Quilt Index. The blocks will be easy to moderately difficult what with a few curved & Y seams. 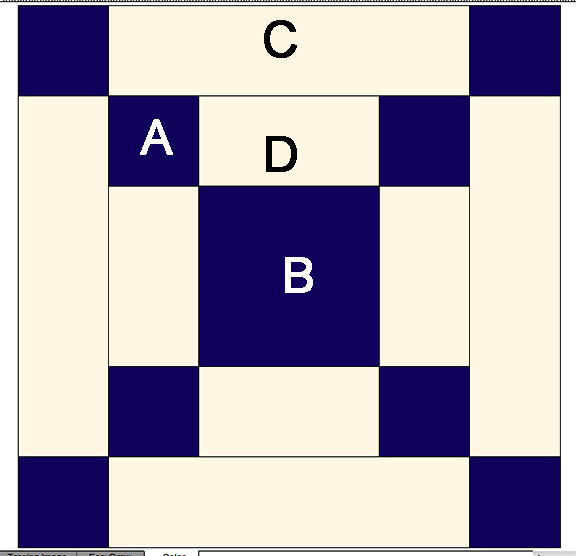 I'll post patterns on the last Wednesday of each month in 2018. You don't have to sign up, the patterns are free here. If you prefer you can buy a PDF download of four patterns three times during 2018 from my Etsy store. I'll mail you the paper patterns or you can print them yourself. I'll post the first set on Etsy on the last of this month. 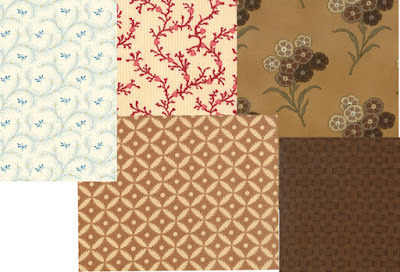 If you're planning to use scraps for your 12 sampler blocks I'd pick a color palette and maybe buy a yard of background or a theme fabric (perhaps adding that yard to one of the setting block fabrics below). I saw for sale the other day. I'd pick 5--- Light, Light medium, Medium, Medium dark and Dark. Sort of shaded like the above. Really dark, really light and then three in between. 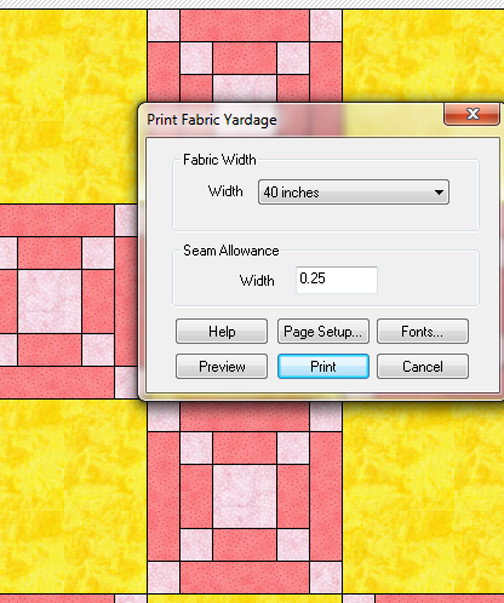 Choose a background too and buy a yard of that, and then half yards of the 5 others. That gives you 3-1/2 yards for the sampler blocks. Should be plenty. You'll also need a half yard for binding the 60" quilt. 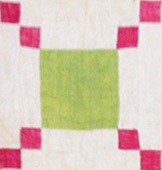 Turkey red and overdyed green 1840-1880. We have to have an official set that all the model makers can ignore. 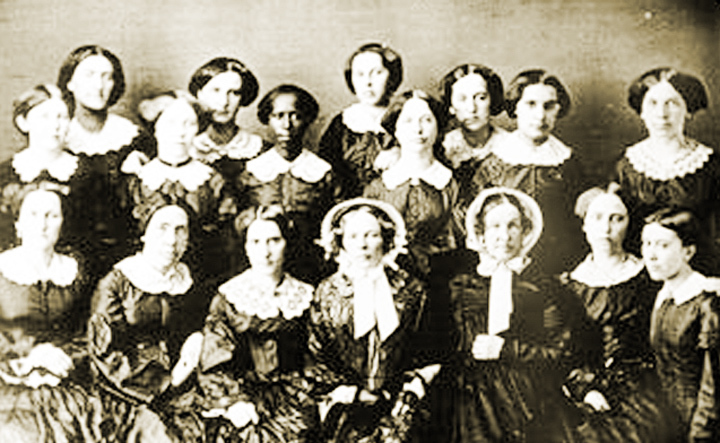 (They follow their own muses, which is fine with me.) 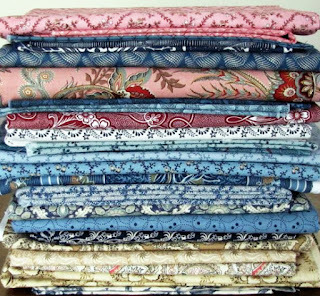 I've chosen a double nine patch, a classic old American pattern. There will probably be more set suggestions throughout the year too so you might want to wait to decide on how to set the blocks. You can always refer to this page. I'll post a link in the left hand column during the year. I imagine it works in similar fashion in either program. First I colored the blocks in distinctive fashion so I could read the key. 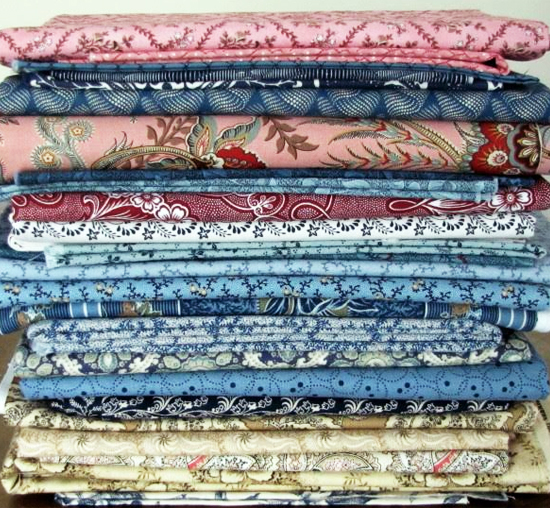 I'd add a little more if you want to have some for the sampler blocks too = 1 yard and 1-3/4 yards. Class of 1855, teachers in bonnets and students in lace collars. Thank you for your generosity. And Happy New Year. Follow our own muse....thank you for the freedom within the guidelines! I am excited about an all pieced BOM. 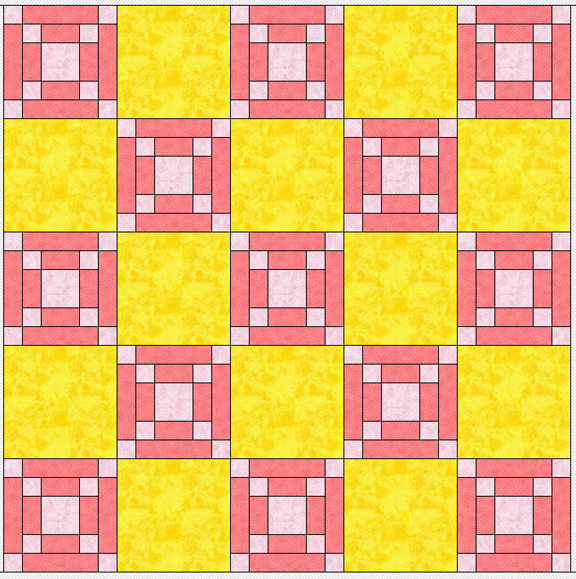 Hmm, me thinks that inspiration quilt is a potholder, so of course I am in on this one! Can't wait to start. Thanks in advance for another inspiring year of fun. Yet that applique in the first photo looks so tempting! Interesting times ahead. Yummy ... Looking forward to the blocks ... Thank you!! Looking forward to it! I need another new project like a hole in the head but I can't resist this one. Thanks, Barbara for your patterns and information. For the setting block...does it matter if the squares are light, as in the pink example, or if they are dark, as in the blue and white picture? Or is this where we "follow our own muses"? Joanne-It doesn't matter. Denniele is doing one set in dark and one set in light. She always follows her own muse. My muse is a little warped at times. :) Joanne, my blue and white will not have a setting block. 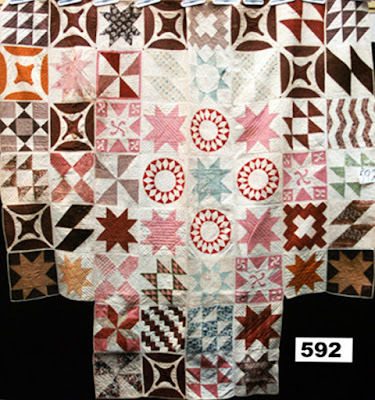 Okay, I've been quilting about 16 months. I wouldn't attempt your challenge yet, but I can piece most 4" blocks with simply finger-pinning. My question is about the "curves:" I've pieced a Drunkards Path & I'm more than willing to learn new skills. Would I be completely lost on the blocks with curves? Thanks for any advice. so that I can actually finish it. I love Alice's expression about needing another new project like a hole in the head and it's exactly what I think for me, too! I like the idea with the alternate block setting! I like that it will show some continuity with the other blocks. It’s hard to decide if I will do this or make your Ladies Album quilt. I have treasured this fat quarter bundle! 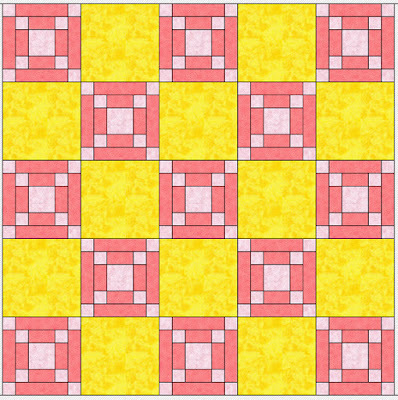 If I make this I will include a couple of squares from last year.